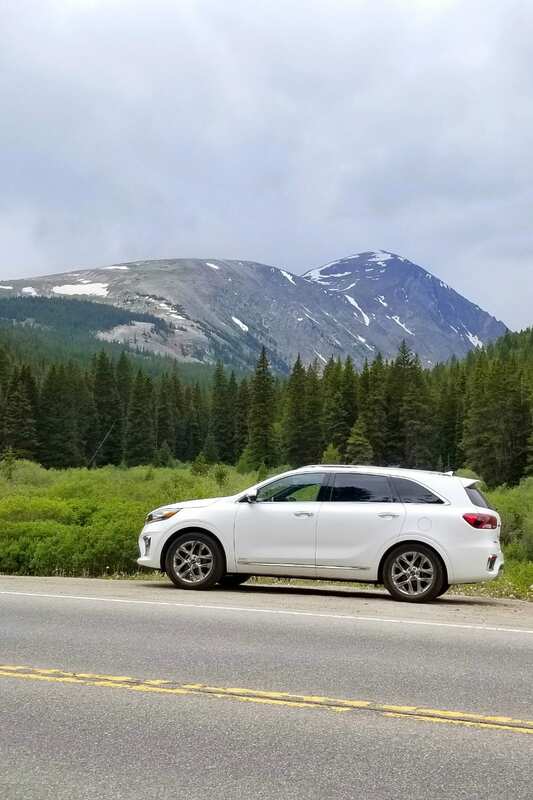 After spending some quality time in the 2019 Kia Sorento with friends, family, and a few Kia representatives in Colorado, I began to think about vision and mission statements. I once had to write one of each for an assignment in college and, admittedly, I did not take it seriously. While driving through the scenic mountain terrain, feeling incredibly grateful for the safety features and security of the Sorento, I made a mental note to Google what Kia came up with for their mission statements. This post was made possible by Kia Motors America. All of my opinions always remain my own. One word, in particular, jumped out at me: humanity. Through all my experiences with the brand, I’ve consistently felt a truly human connection to the product and brand story. The company has made mistakes, owned them, learned, listened, and persevered. Their expanding line of vehicles, from the fun and reliable, Rio subcompact, to the award-winning Stinger GT reflect life lessons, both in development and final product. If a car could possess wisdom, it’d be a Kia. 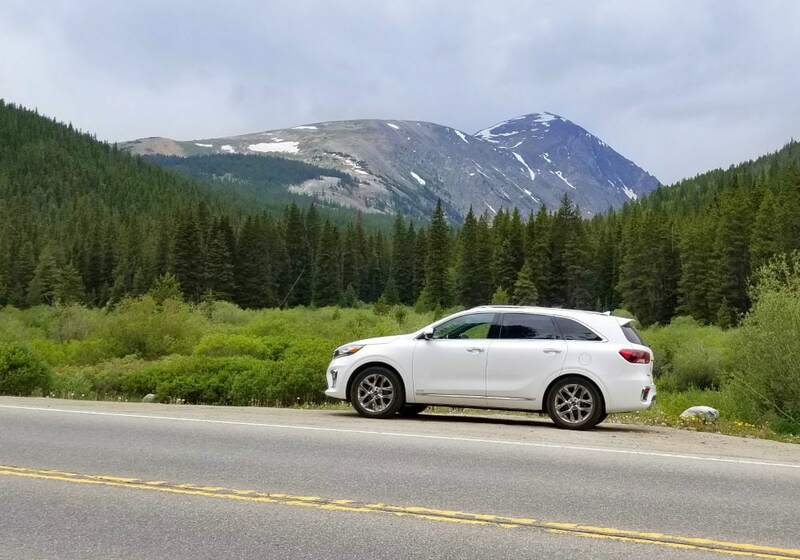 I’ve spent several months getting thoroughly acquainted with the 2018 Kia Sorento and falling for a plethora of irresistible features. 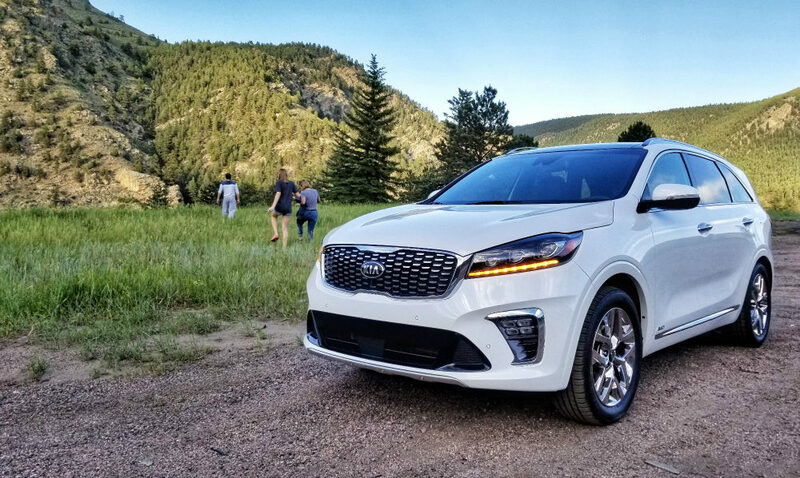 It was no surprise to hop in the 2019 Kia Sorento and find new and improved additions. The vehicles we drive are getting stronger…and smarter. While I’ve experienced both Eco and Sport modes in previous Kia vehicles, I first became acquainted with the Smart Shift and Drive feature in the 2018 Stinger, which automatically chooses the best drive mode for you, based on your driving style. You also have the ability to choose Eco, Comfort, or Sport mode on your own. So, when you need some passing power, select Sport mode and experience the power you need with the smooth acceleration you want from the 8-speed transmission. I also have to include, since I was able to learn quite a lot about AWD systems, the Dynamic Torque Vectoring system in the Sorento. At times, features such as this seem too overwhelming for an average car buyer to understand. However, with a little research, I learned why it’s such an incredible addition to a vehicle costing under $50k, fully loaded. In driving conditions requiring added control of your vehicle, the system will react to your driving and road conditions by applying power and braking force to the front and rear wheels, as needed. This system is found in much more expensive offerings from brands like Audi. 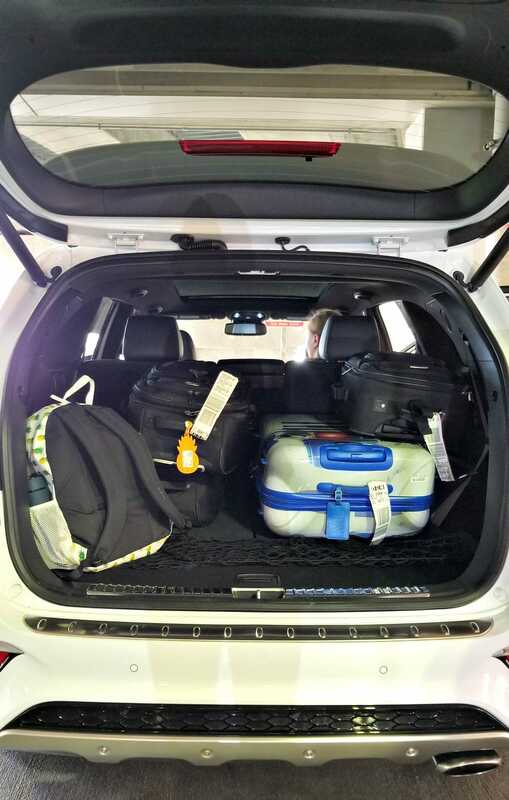 Even without an education in automotive engineering, you can understand why that’s reassuring for a mom transporting her family. Like so much about the 2019 Sorento, these features help provide a premium driving experience without paying a premium price. The luxury features in the Sorento keep getting better and more advanced, as well. The driver and passengers benefit from an abundance of charging ports–my favorite being the wireless charging pad that brings my Note 8 from near death to full of life ridiculously quick. 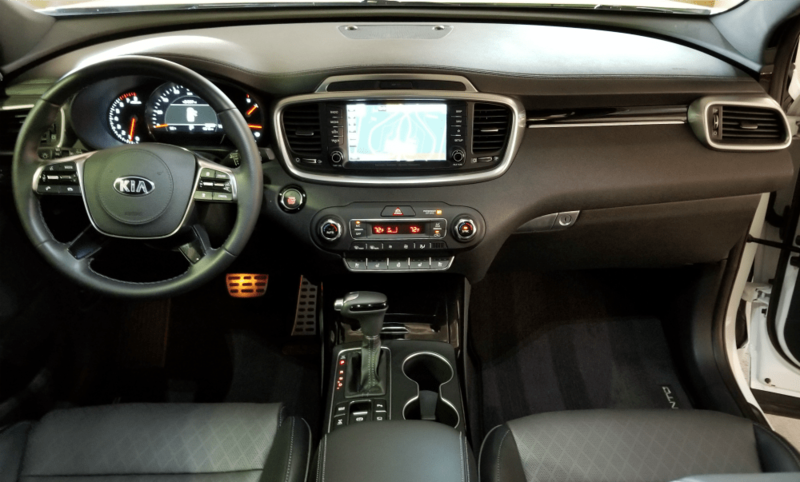 The 2nd row has heated seats that recline, but a 3rd row of seats is now standard across every Sorento trim level. With the panoramic sunroof, backseat passengers can kick back and enjoy quite a view. Up front, there is a ventilated seat option that is quite refreshing on a hot day. With the new button layout, both on the updated and gorgeous steering wheel and center stack, controllable options are even easier reach–clearly with safety and convenience in mind. Last year, I had the honor of visiting the Harman Experience Center in California and learned all about what goes into Harman Kardon car speakers. The quick course in audio technology had me thoroughly impressed by the engineering that goes into music listening. 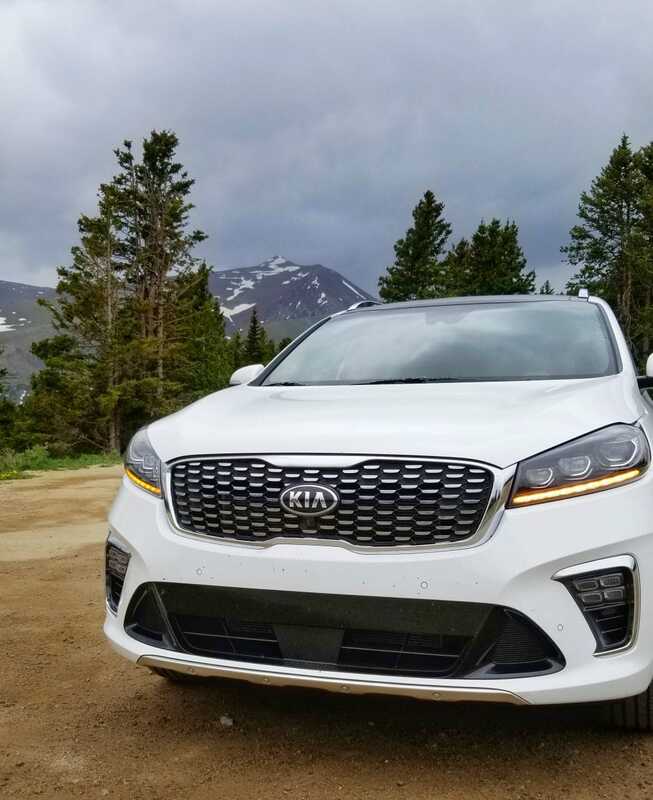 The 2018 Sorento kept me happy with its Infinity (by Harman) audio system, but I was excited to learn that the 2019 version comes with an optional 630-watt, 10-speaker Harman Kardon premium audio system, with window-shaking features I experienced in the Stinger GT. Check out Harman to learn about features like Clari-Fi and QuantumLogic–I think you’ll understand why I was so impressed. As life carries on with all the heavy lessons, the hunk of metal out in the driveway that’s learned and grown with me feels like a friend–my favorite companion for soul-searching through adventure. Head over to your local Kia Dealership and get in a 2019 Kia Sorento to feel the quality for yourself! Kia has come a long way. I personally am an American car, and still own a couple of Japanese manufactured cars, but Kia is keeping up for sure. I love the style of this KIA.The speakers sound like an amazing feature to have. When you are traveling in your car on long trips, a good sound system is key.